Have you been looking for a pair of breathable shoes that will help treat your sweaty feet? Sweaty feet can lead to health issues, such as foot odor, athlete’s foot, and toenail fungus. Excessive sweating can indicate a condition called hyperhidrosis. There are several methods that will help treat your sweaty feet, but the most effective ones are wearing the correct type of socks and the correct type of shoes. With all the technology advances, shoe companies are making more breathable sneakers. They understand the importance of wearing shoes that allow the feet to breathe properly, especially when it comes to the smell. The issue is that there are only certain shoe styles that are made from more breathable materials and that also come with antibacterial insoles that help wick away moisture and prevent foot odors. I will provide you with a selection of these shoe styles that will also be available in different widths such as narrow, medium, wide, and extra wide. Did you know that wearing shoes that are too tight can also contribute to sweaty feet? I am an expert when it comes to fitting women’s shoes since I have been working for a specialized shoe store for the last 10 years. Moreover, I have been helping women find the correct type of shoes and orthotics to reduce or fully eliminate the foot and leg pain that they were having. We specialize in women with foot and leg problems, but we provide regular shoe fitting as well. For the last 3 years I have dedicated myself to helping women find the perfect pair of shoes for their feet online. Our bodies are all different! Some women’s feet tend to sweat more than others. 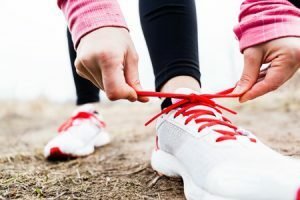 One of the most common causes for this is believed to be hereditary, but the type of shoes and socks that you wear also plays a huge role in determining how much your feet sweat. INTERESTING FACT: Did you know that bacteria multiplies a lot faster in sweaty environments? 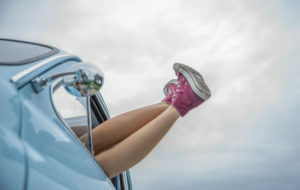 Some women avoid using socks thinking that it will reduce the likelihood of their feet sweating excessively, but the reality is that wearing their shoes without socks, really gets the bacteria going! Have you been dealing with sweaty feet lately? Don’t worry! I will describe the best shoes for women with sweaty feet shortly. I want to first show you what features these shoe styles will provide to your feet and how you can figure out your exact foot size from home. Always avoid patent or plastic shoes as they do not allow a good airflow and may trap sweat inside the shoe. The shoes I will describe below all come with a seamless mesh upper that will allow your feet to breathe and prevent the buildup of bacteria inside the shoes. This feature will allow you to just toss your shoes in the washing machine, and the shoes won’t shrink. You will kill any bacteria and the shoes will smell fresh.You will find very interesting to know that putting your shoes in the washing machine allows you to kill 99.9% of the bacteria, fungus, viruses and other microbes. 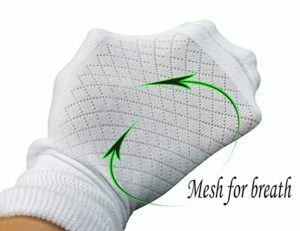 This type of insole will provide all day freshness and will provide effective antibacterial and antifungal protection by resisting the growth of odor causing bacteria. The shoes will provide excellent support to minimize the impact that your feet and legs take every time they come in contact with the ground. While the shoes are supportive, they are lightweight and flexible at the same time to prevent your feet and legs from easily getting tired. In addition, it doesn’t matter how many features a particular shoe style provides, if the shoe is not fitted properly, you will not get any of the benefits that the shoes have to offer. What’s even worse, you can end up creating all sort of foot issues to your feet such as blisters, calluses, and corns. How To Measure Your Foot Size – The Most Simple And Effective Way! Now that you know what features these shoes will provide and how to figure out your exact foot size from home, you are ready to take a look at a selection of the best shoes for women with sweaty feet. While shoe companies have created breathable shoes by incorporating as much mesh material as possible, certain shoe styles are better than others when it comes to allowing feet to breathe. Below you can find a selection of the best shoes for women with sweaty feet. Remember that these shoe styles are available in different widths such as narrow, medium, wide, and extra wide, so please choose the shoe width accordingly. All of these shoe styles fit “small”, which means that you need to go a half a size longer of the size that your measure in the shoe measuring scale (Brannock device), in order to prevent your toes from rubbing against the front or side of the shoes. Keep in mind that the material that the shoes are made of plays an important role in preventing your feet from sweating too much. The choices that I recommend to you are made from porous, breathable, man-made fibers, such as canvas and leather. Most of the times, sweaty feet symptoms might seem obvious, but it is always better to be aware of which this might be. Below you can find a list of these symptoms, so you can keep a close eye (and nose!) on your feet’s health as well as your kids! You may find interesting to know that sweaty feet can lead to countless of foot problems such as blisters, foot odor, and fungus growth. As soon as you feel that your socks start getting damp, you need to immediately switch to a pair of dry socks. The Best Socks for Sweaty Feet – Breathable and Comfortable! Always remember that wearing the right type of shoes will considerably reduce the amount your feet sweat. However, in order to completely eliminate the excessive sweat from the feet, you must wear the correct type of shoes and socks. It is important to know that there are certain sock styles that breathe better and that are made of higher quality fabrics than others. It’s key to identify the best sock materials that absorb moisture the most. Socks play a very important role in keeping your feet healthy (same importance as the shoes), since they act as a barrier between your feet and the shoes, preventing the formation and build up of bacteria inside the shoes. All of these socks styles are made from bamboo fiber which has antibacterial properties and will help with many odor problems. Bamboo also makes the socks breathable absorbent, antibacterial, and durable to keep your feet dry and cool. If you have tried breathable shoes and socks, and you still feel that your sweating is out of control, then you should consult your doctor, as you may be suffering from hyperhidrosis (excessively sweaty feet regardless of the temperature). Alternating Shoes – Take Advantage of an Extra Pair! I am aware and acknowledge the fact that not all of us can afford to have several pair of sneakers just for ourselves. In fact, we try to buy one single good pair to avoid having to have to buy another one anytime soon. 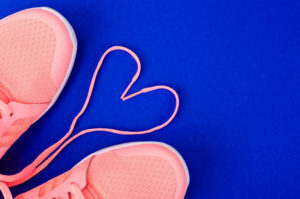 It is true that you only need one pair of good, supportive sneakers to keep your feet and legs healthy. However, if you happen to have more than one pair of sneakers, take advantage and start alternating them. You can have one to use for certain every day activities and one just to use for exercise. This will allow your feet to stay dry and breathe better. Plus, when you exercise you tend to sweat more, so wearing one pair of shoes for everything is definitely not ideal. It is very important to keep a good foot hygiene, since this can prevent foot odor and infection. Also, you need to make sure you are drying your feet thoroughly after taking a shower. Please remember that women can also have sweaty feet from walking and exercising too much or under extreme weather conditions and it is totally normal! The real problem comes when they have excessively sweaty feet, since this can create several foot issues. Before you go to a doctor’s consult, try simple things such as changing to an appropriate pair of socks and wearing the right type of shoes. Simple steps like the ones mentioned in this article will make a huge difference in keeping your feet healthy! You will be amazed by the difference these changes can make! Now that you know which are the best shoes and socks to significantly reduce or fully eliminate sweaty feet, you are ready to make the most informative decision. Have you tried any particular shoe style that has worked well in treating your sweaty feet? Please share your findings below so other women can benefit from your experiences. My name is Juan Valenzuela and since I started fitting shoes in 2009, I have helped several women who claimed that their feet were too wide or too narrow to find that particular shoe style that they didn’t even know existed. Are you experiencing foot and leg pain? I have helped hundreds of women who were experiencing foot and pain due to not wearing the correct pair of shoes.Something so simple such as wearing the correct shoe size and the correct shoe style will keep your feet and legs healthy. I know which shoe brands and shoe styles are better than others from having fitted them before. 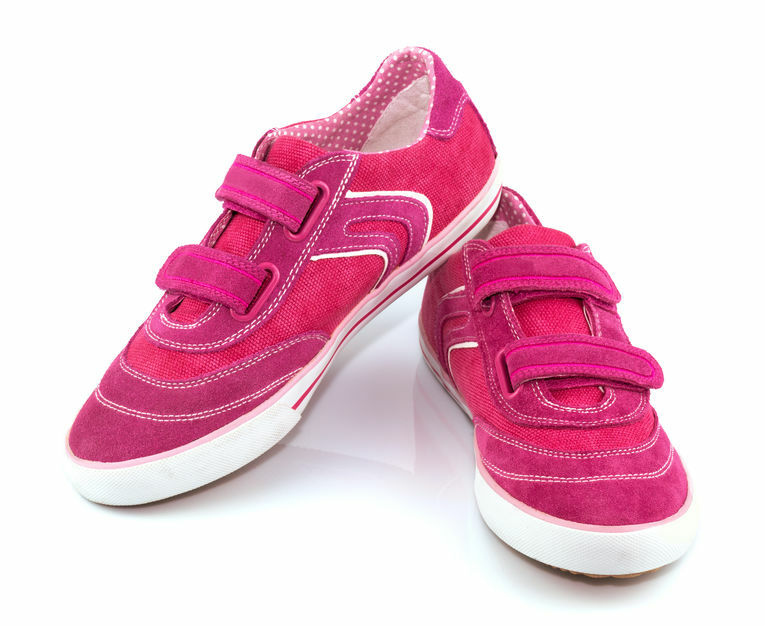 Velcro Fastening Shoes for Women – Never Tie Again!